Story: House Subcommittee Considers FCC Authority to Take Property, 3/22/00. (March 22, 2000) The House Constitution Subcommittee held an oversight hearing on the FCC's proposal to require apartment building owners to provide access to telephone, cable, and other service providers. Landlords and some legal scholars testified that this would be an unconstitutional taking of their property under the Fifth Amendment and the Loretto case. Notice of Proposed Rule Making, 6/10/99. Press release summary of NPRM, 6/10/99. The Federal Communications Commission started a controversial rule making proceeding last summer regarding giving telecommunications providers forced access to the rooftops of apartment buildings. The proposal would require building owners to provide access to their properties to telecommunications service providers under rates, terms, and conditions comparable to those they have provided in the past to other providers. No one from the FCC testified at the hearing. However, the subcommittee heard from two panels of witnesses. One was comprised on lawyers and law professors with expertise in the area of private property rights. The other was comprised of representatives of companies that would be affected by the FCC's proposal. Only two members of the subcommittee participated in the hearing, Rep. Charles Canady (R-FL) and Rep. John Conyers (D-MI). Rep. Canady is the Chairman of the subcommittee. 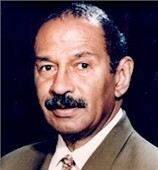 Rep. Conyers is the ranking member of the full Judiciary Committee. "We believe competitive telecommunications networks will provide alternatives to local services provided by the incumbent wireline local exchange carriers (LECs) and provide new services to the public. This item initiates a rulemaking proceeding to consider certain actions to facilitate the development of competitive telecommunications networks, and commences an inquiry into certain other issues related to this goal. In particular, we consider actions to help ensure that competitive providers will have reasonable and nondiscriminatory access to rights-of-way, buildings, rooftops, and facilities in multiple tenant environments." Property owners, and the organizations which represent them, oppose the rule. Steven Eagle, George Mason Univ. The subcommittee heard from three authorities on private property rights. Two testified that the FCC's proposal is unconstitutional under the Supreme Court's 1982 ruling in Loretto v. Teleprompter Manhattan CATV Corp., 458 U.S. 419. In this case the Court held that a law authorizing a telecom carrier to effect a permanent physical occupation of private property constituted a per se taking under the Takings Clause. Steven Eagle, a professor at George Mason University, stated that "such forced access would result in a permanent physical occupation of the landlord's property. This would violate the Takings Clause of the Fifth Amendment unless just compensation was paid, under the Supreme Court's holding in Loretto ..."
Viet Dinh, a professor at Georgetown University, disagreed. He distinguished the FCC's proposal from the facts in the Loretto case. "A nondiscriminatory access requirement of the type proposed by the FCC, however, is substantively different. Instead of mandating that a property owner open his property to outsiders, a nondiscrimination provision simply requires that, should the owner open his property to any outsider, he must also entertain others." He stated that his argument rests on the Supreme Court's 1964 opinion in Heart of Atlanta Motel, Inc. v. United States, 379 U.S. 241. In that case the Court held that the 1964 Civil Rights Act applied to a motel that refused to rent rooms to blacks. Steven Rosenthal responded that Heart of Atlanta was inapplicable, and that the only reason many ILECs have facilities on rooftops is because they forced they way in under eminent domain, or threats to exercise eminent domain. Rep. Canady also concluded that "it looks a whole lot more like Loretto than Heart of Atlanta." Witnesses also debated the economics of forced access to roughtops. Supporters of the FCC proposal stated that it would increase competition. Opponents stated that the real estate market is competitive, and it would be best to let the market operate freely. Rep. Conyers also participated in the hearing. "I support competition in all sectors," he said. "We need to have numerous technologies competiting." "I do not believe that the Fifth Amendment is violated" by the FCC's proposal. However, he then qualified this by saying "so long as just compensation is provided." Opening statement of Rep. Charles Canady (R-FL). Event: House Constitution Subcommittee hearing. Re: Private Property Rights and Telecommunications Policy. In order to make telecommunications services, such as wireless communications services, more widely available, the Federal Communications Commission is considering issuing a rule that would require building owners to provide access to their properties to telecommunications service providers under rates, terms, and conditions "comparable" to those they have provided in the past to other telecom providers, such as phone and cable companies. [W]e now seek comment on whether building owners who allow access to their premises to any provider of telecommunications services should make comparable access available to all such providers under nondiscriminatory rates, terms, and conditions. In light of [information indicating] that a number of building owners may be imposing unreasonable and discriminatory charges on competitive carriers, we seek comment on whether adoption of this principle may be necessary to ensure that consumers in multiple tenant environments have the ability to access the service provider of their choice." The FCC finds its authority to issue such a rule under � 224 of the Communications Act, which requires utilities, including local exchange carriers, to provide telecom carriers with nondiscriminatory access to any pole, duct, conduit, or right-of-way that they own or control. 47 U.S.C. � 224(f)(1). While section 224 technically applies only to public utilities, the proposed rule necessarily would impact the property rights of building owners. Section 224 requires utilities, including local exchange companies, to "provide cable television systems and telecommunications carriers with nondiscriminatory access to any pole, duct, conduit, or right-of-way that they own or control," and the proposed interpretation would apply this requirement to "rights-of-way and conduits on end user premises." See NPRM at � 36, 45. In the NPRM, the FCC states that it has tentatively concluded that a definition of "right-of-way" that includes "a publicly or privately granted right to place a transmit or receive antennae on public or private premises is consistent with the common usage of the term." NPRM, at � 42. Some have argued that some property owners are unreasonably denying telecom carriers access to their rooftops for the installation of the microwave dishes and other equipment necessary to construct a wireless network that could effectively compete for the provision of telecom services with traditional, wire-based phone services. Others, however, have argued that, while some landlords may not be providing access to their property in ways acceptable to some telecom companies, the vast majority of landlords provide reasonable and ready access. Some of the proposals contained in the FCC�s NPRM, if adopted in a final rule, would require real property owners to acquiesce to the physical presence of uninvited telecom service providers on their private property in order to further a public policy promoting the availability of telecom services. Such a rule would implicate the Fifth Amendment of the United States Constitution, which states, in part, that "private property [shall not] be taken for public use without just compensation." U.S. Const. Amend. V.
The Supreme Court, in Loretto v. Teleprompter Manhattan CATV Corp., 458 U.S. 419 (1982), held that a law authorizing a telecom carrier to effect a permanent physical occupation of private property constituted a per se taking under the Takings Clause. In that case, a New York statute provided that a landlord would have to permit a cable television company to install its facilities upon his property and could not demand payment from the company in excess of an amount determined to be reasonable by a State Commission. As the Supreme Court stated, "The installation involved a direct physical attachment of plates, boxes, wires, bolts, and screws to the building, completely occupying space immediately above and upon the roof and along the building's exterior wall." Id. at 438. The decision established that such an invasion of real property always effects a taking, regardless of how small the physical occupation may be in relation to the remainder of the owner�s estate. As the Court stated, "[W]e have long considered a physical intrusion by government to be a property restriction of an unusually serious character for purposes of the Takings Clause. Our cases further establish that when the physical intrusion reaches the extreme form of a permanent physical occupation, a taking has occurred. In such a case, �the character of the government action� not only is an important factor in resolving whether the action works a taking but also is determinative." Id. at 425. Further, "The historical rule that a permanent physical occupation of another's property is a taking has more than tradition to commend it. Such an appropriation is perhaps the most serious form of invasion of an owner's property interests ... The power to exclude has traditionally been considered one of the most treasured strands in an owner's bundle of property rights." Id. at 435. To the extent building owners have ownership, under state and local property law, of any of the facilities subject to one of the NPRM�s proposed rules, the NPRM may effect a per se taking of private property under Loretto. In his statement accompanying the NPRM, Commissioner Powell stated that "under judicial precedent, this agency should not move toward rules that would effectuate a per se taking without specific authority to do so ..." It is with Commissioner Powell�s caution in mind that the Subcommittee on the Constitution proceeds with an inquiry into whether the rules proposed by the FCC in the NPRM would effect a taking of private property and, if so, whether the FCC has the authority to implement such a rule.